Creators Workshop member Joey Groah has launched a Kickstarter campaign for his comic project Dry Seasons. The script was workshopped on the Creators Workshop, and Joey even kindly mentions Comics Experience in his Kickstarter description. 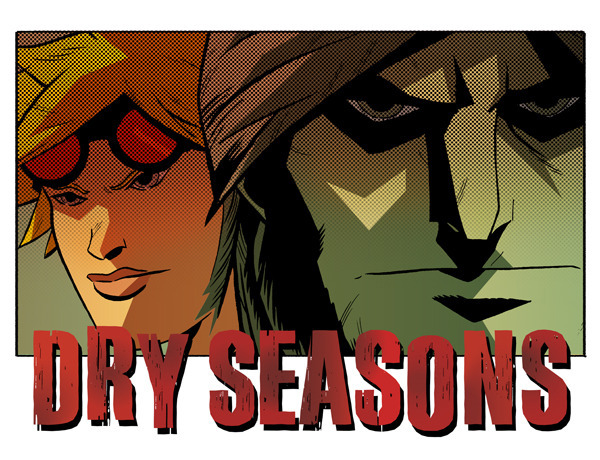 Dry Seasons is Romeo & Juliet meets Mad Max. Years after the apocalypse, Ann and Paul are two star-crossed lovers. They uncover a plot that could destroy their families, and other survivors. Dry Seasons is an action-adventure story, lo-fi sci-fi. The four 22-page print and digital issues of Dry Seasons will be a complete "done-in-one" that has possibilities for future volumes. The Kickstarter has already garnered more than 50 backers toward its overall $7,000 goal. In addition to the book itself in print and digital form, those pledging can receive other incentives including limited edition versions of the books, t-shirts, original art by artist Ryan Cody, or even name a character! And there's a sketch available from CE Art Moderator Gannon Beck, who is also Joey's collaborator on an upcoming mini series, as well as the co-writer and artist on Space Corps. Gannon is doing a sketch of any character of your choice on 9"x11" paper. 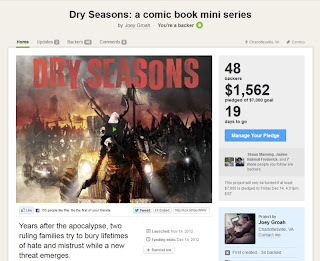 With more than two weeks left, there's still plenty of time to jump on this Kickstarter for Dry Seasons! Best of luck to Joey with the Kickstarter! The worst thing about snow trips begins the minute you book one. I call it "snow worries". It usually sets in for me the minute I've hit "confirm" to transfer the money to a travel agent. A close cropped cut is more becoming to balding men than a comb over. Fingernails must be clean and trimmed. Avoid strong smelling after shave or cologne. The 300 seat venue also received the American Institute breast cancer shirts of Architecture Award for Best interior Club Design. Caroline's produces the highly successful army t shirt New York Comedy Festival which brings in some of the biggest names in the business. The club has brought in comics such as Dave Chapelle, Colin Quinn, and Lewis Black.